the original game boy celebrated it’s 25th birthday this year. the handheld was hugely influential in how we play video games on-the-go and it paved the way for an exciting line of devices and titles. to mark the occasion i decided to revisit my childhood gaming years. i bought a secondhand game boy to keep me busy on long train journeys/delays. the cleaner lines and minimal markings to the pocket make it a serious looking product yet it still retains it’s playful form factor. before the pocket accompanied me on my travels there was something holding it back: the lack of a backlit screen really made the product feel out of place. luckily there are game boy and chiptune enthusiasts out there who design and make their own kits. i decided to add in an led backlight to bring this little guy up to modern standards. backlight kits are pretty cheap and the installation is fairly straightforward if a bit fiddly. you do have to crack open the device and solder a few points but in doing so you appreciate how these things were easily assembled in the millions. 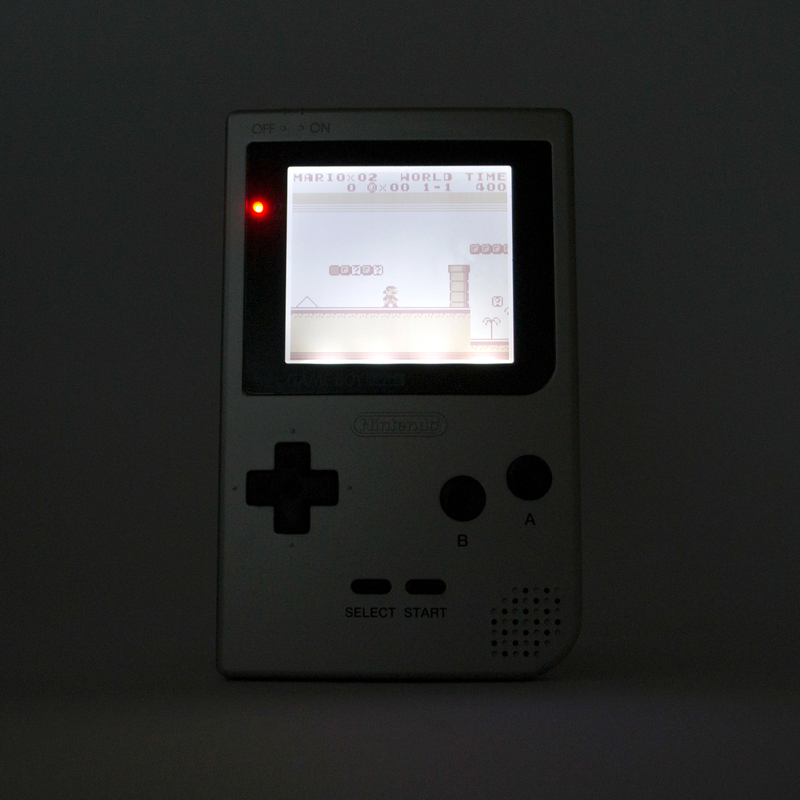 it’s great to play a round of tetris or mario on the train and the super bright backlight makes zooming through dark tunnels easy on the eyes. it also turns a few curious heads, with some keen to share their game boy memories. 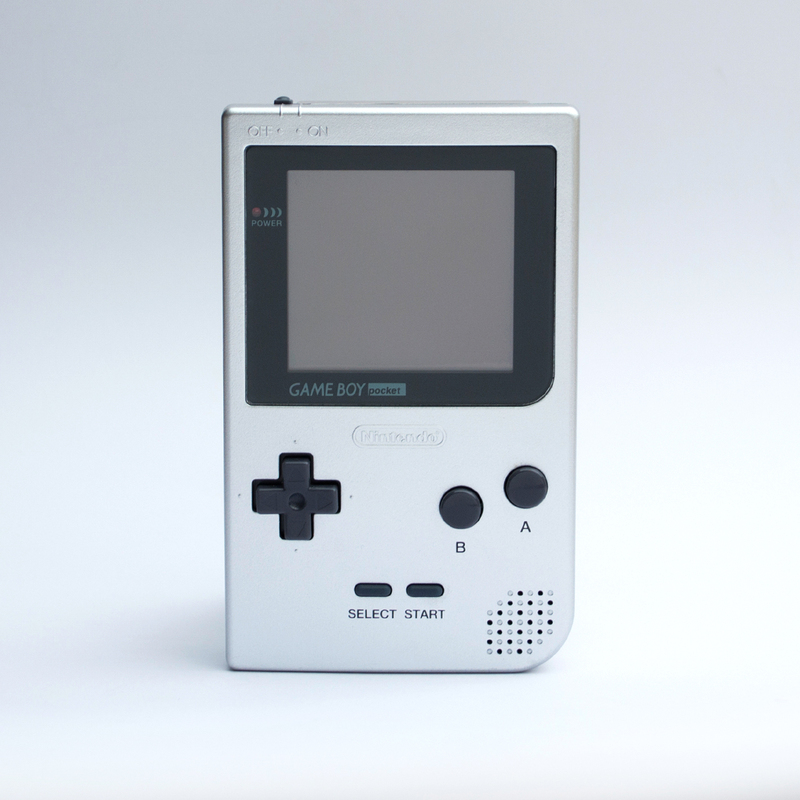 the game boy has a special place in peoples hearts because it felt more like a little gaming companion rather than a piece of electronic equipment. your iPhone can emuluate the entire game boy libary with ease but we don’t feel as emotionally connected to our smart phones in such the same way. this was a fun little project. it was good to see how a simple modification could bring an old product out of retirement and still entertain 25 years later.